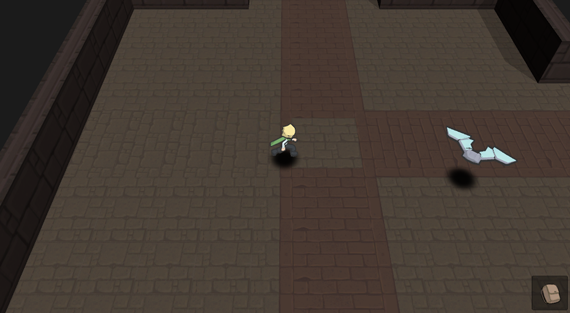 I wanted a simple story, so I decided to do a mercenary story arc again. The middle character is the Boss and wants to hire two minions to do her bidding. I can’t think of any names yet, but I think the boss is going to just be named Boss. 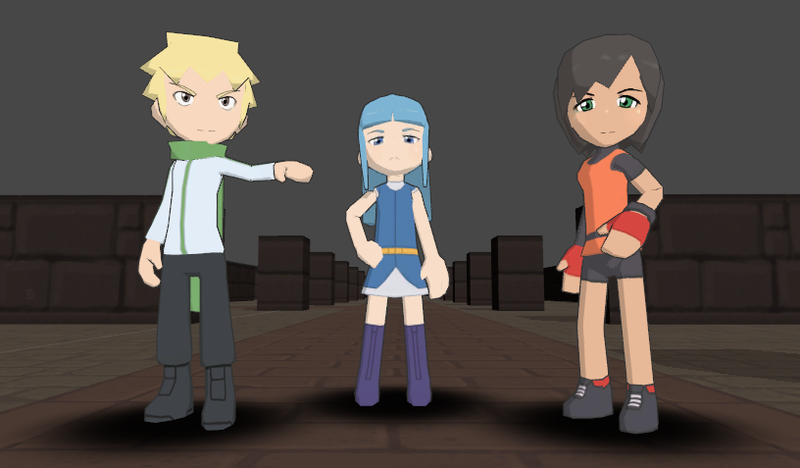 I’m also open to other story ideas and the possibility of a fourth character. Everything is still pretty open. 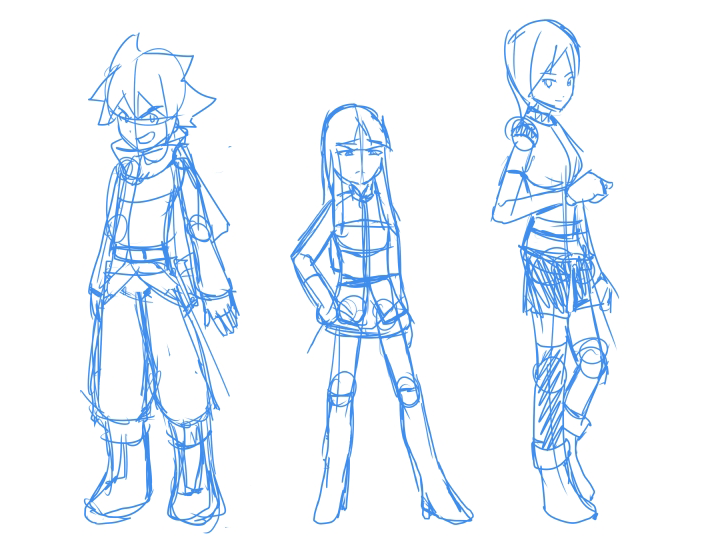 Here is the early sketch of the characters. 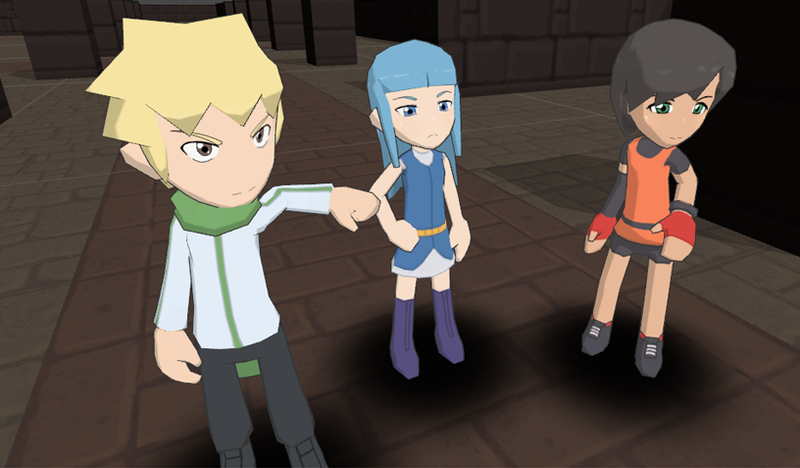 Running animation is also done on the main character.